Typical grenache garnet coloring with bluish tinge. Powerful nose of flower, ripe strawberry, cherry, fig and cassis liquor. Straw yellow in color with golden undertones. Aromas of white flower, pear, plum, quince and lemon with a hint of butter. 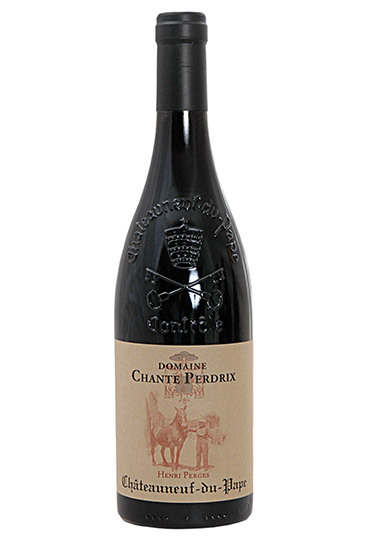 Chante-Perdrix red Châteauneuf-du-Pape wines are made from 60% grenache, 20% syrah, 15% mourvèdre and 5% muscardin. Deep dark red coloring with slightly bluish hints. A nose of mineral, black fruit, ripe blueberry and pepper, with developing notes of blackcurrant jam and soft vanilla. White wines with a blend of 50% grenache white and 50% clairette. 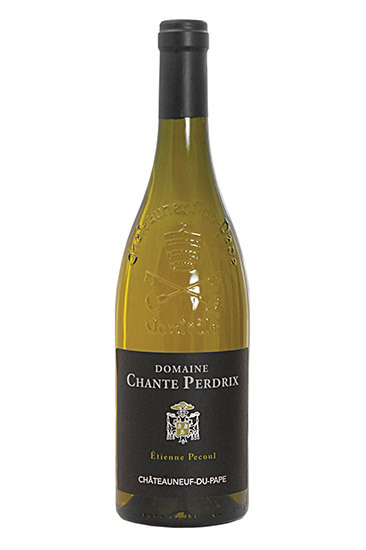 Chante-Perdrix white Châteauneuf-du-Pape wines offer aromas of citrus, white flowers and honeysuckle. The red wines are to be tasted with red meats, game or with a good cheese. A multitude of flowery flavors as well as wild fruits, mostly blackcurrant can be discovered in our wines. 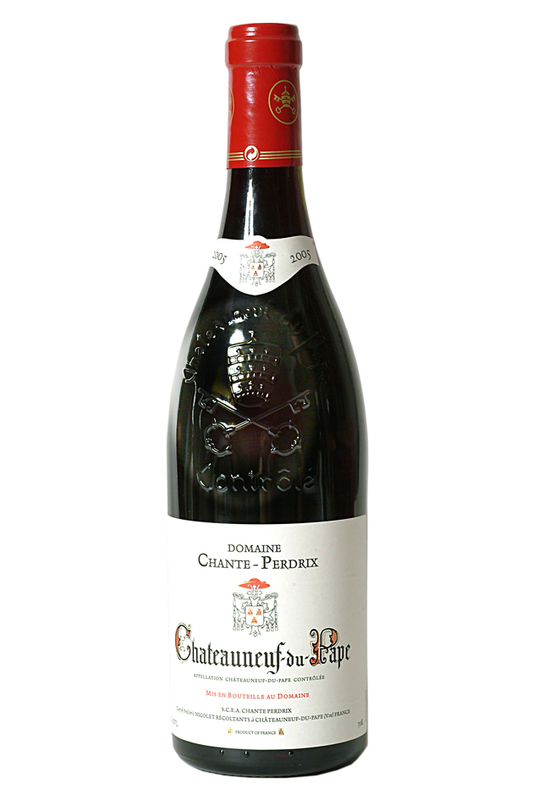 In a good wine cellar, our Chateauneuf-du-Pape can be kept for 12 to 15 years and possibly 20 yrs for those of the exceptional years. The white is to be drunk young (2-3 yr). To be drunk during apéritif, alone or with blackcurrant liquor, with fish or as a dessert wine. 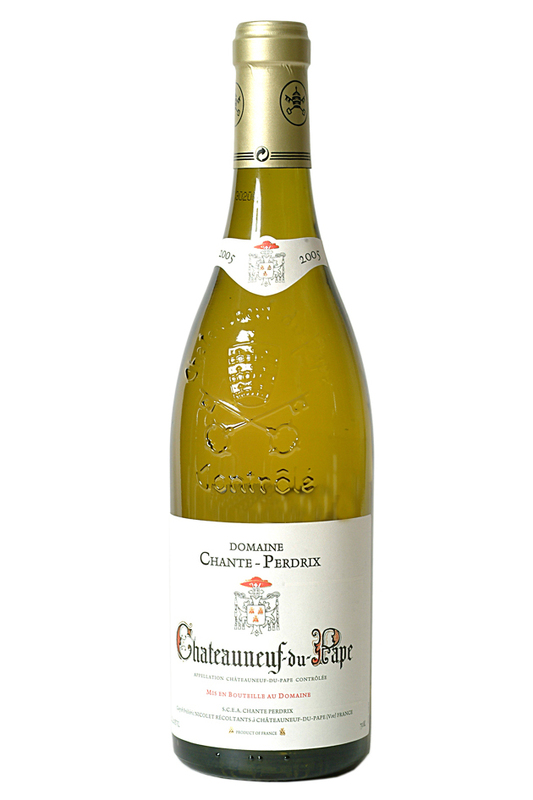 Dry but mellow as a result of its 13° alchhol content, the white Chateauneuf-du-Pape can be drunk with foie gras. Do not forget to serve the reds at room temperature ( 18°-19°) and the whites cool but not iced (14°) in order to preserve all of their aromas. 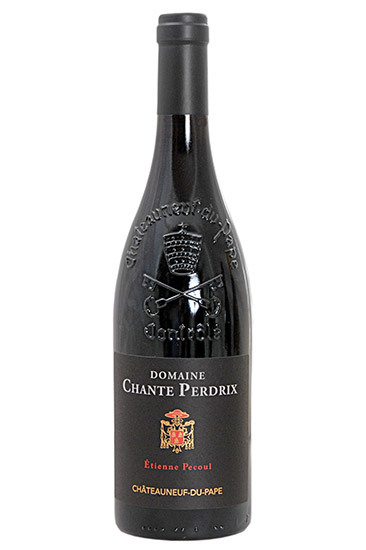 Symphonie of 13 grape varieties: The wine, Chateauneuf-du-Pape is the expression of the power of a symphonie. With each mouthful appear the most beautiful sonorities. Grenache, Syrah, Mourvèdre, 3 grape varieties in "major" from which this wine draws its power and mellowness, its color and its solidness. The rythms accelerate, revealing more intense bouquets, pleasure rolls with plentitude. Like symphonies that leave the ear with imprints of their supreme richness, the symphony of the 13 grape varieties gives birth to an unshared passion for an exceptional wine: Chateauneuf-du-Pape. Decree of 11/2/66 modified 11/2/92. Production area: precisely demarcated by judgement of the Avignon tribunal. Planted grape varieties: 13 grape varieties among which the principal are: Grenache, Syrah, Mourvèdre, Cinsault, Clairette, Bourboulenc. Mode of cultivation: strictly regulated watering, severe pruning to inhibit high yields, compulsory sorting of the grapes during harvest, 5% minimum. Minimum degree: 12.5° for the finished wines, that is 225 grams of sugar per liter of must. Maximum yield: 35 hectoliters per hectare in production as of the 4th year. Uniquely red or white wines: the wines must be labelled by a wine tasting commission before its release on to the market.